If you or your child have paresis or paralysis of the leg musculature in particular, a modern, harmonised and integrated system is available – the unilateral joint system. It consists of a knee joint and ankle joint. You can also wear these separately, depending on your physical condition. The ankle joint has a foot lifting effect. Its versatile settings make it possible to individually adapt it to your needs or the needs of your child. The knee joint can be equipped with an additional switch which allows it to be set in an open position for a limited time so that you or your child can ride a therapy bike. 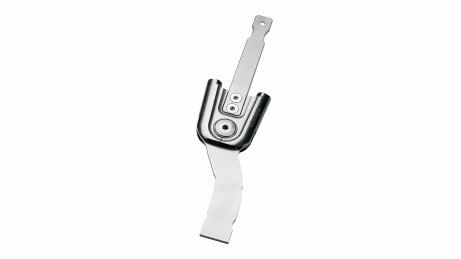 The lock lever makes it quick and easy to release and lock the joint with only one hand. A pull-release cable for unlocking can be installed if required. Your orthopaedic technician can install the switch in the knee joint if required. When you set the knee joint to an open position for a limited time, you can for example ride a therapy bike. 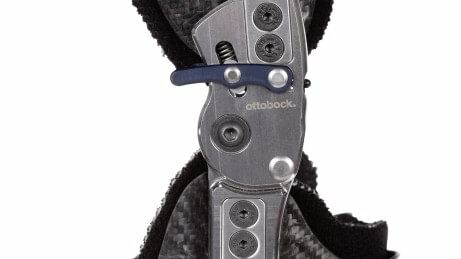 The ankle joint has a foot lifting effect and can be individually adapted to your needs thanks to its various adjustment possibilities. 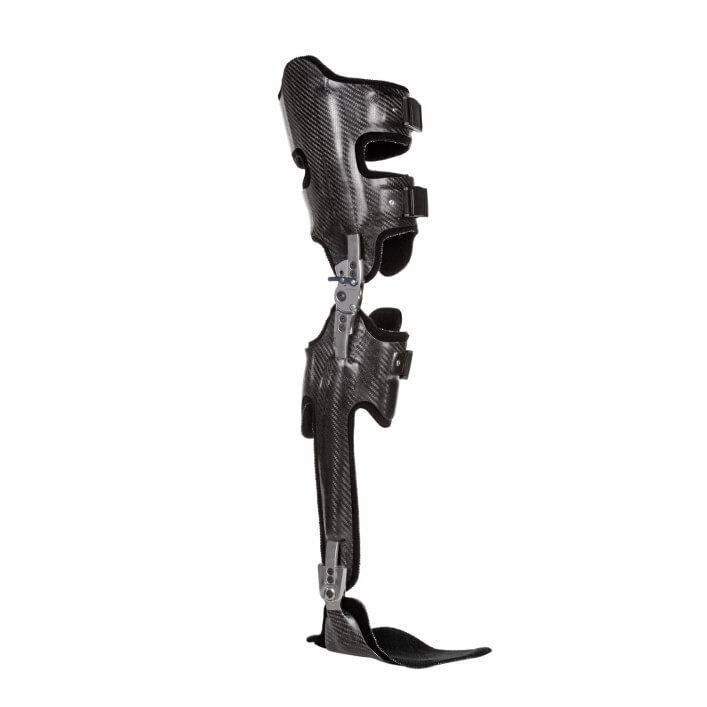 Instead of two knee and ankle joints respectively, just one of each can be used up to a body weight of 110 kg. This depends on your individual physical condition in each case. 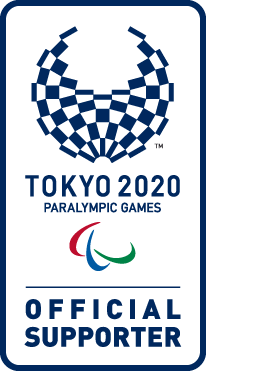 This makes the orthosis especially lightweight, slim and comfortable to wear. A special titanium alloy gives you a noticeable advantage in terms of weight, with no loss of stability. 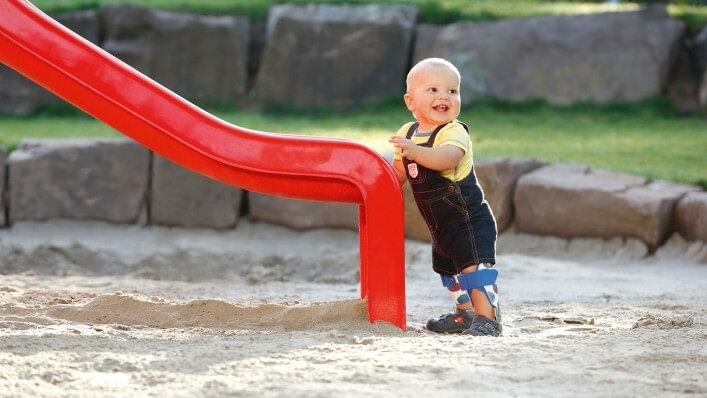 The joint system is available in different sizes, including size versions especially for children. The unilateral joint system consists of a locked knee joint with wedge lock and a multifunction ankle joint. 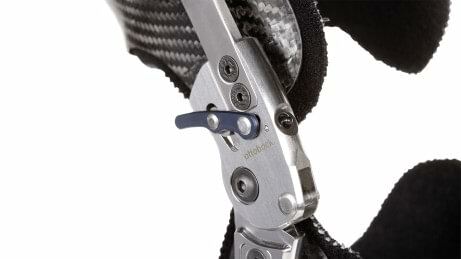 While the knee joint is permanently locked, it can be unlocked using a lock lever or pull-release cable, for example when you want to sit down. The joint engages automatically when you get up and is therefore locked again. 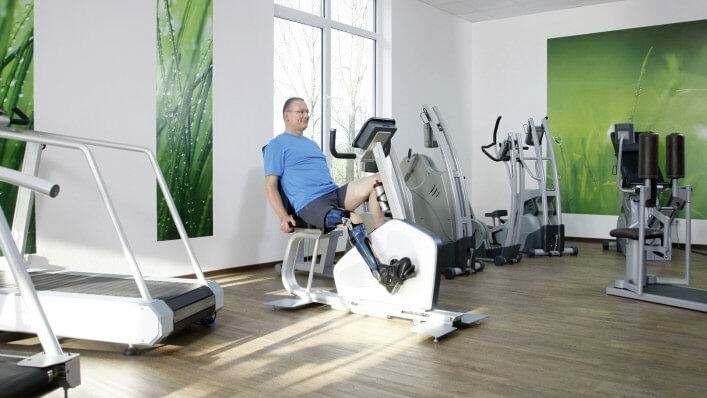 The ankle joint has a foot lifting effect and makes it possible for your O&P professional to adjust the joint to your individual needs thanks to its various combination options as well as the continuously variable limitation of the range of motion up to a maximum of 20°. This information brochure provides an overview of the benefits of this system and the suitable indications. Please see here for various products which are suitable for children.